It's easy to be fooled by imitators, but this is another product where you truly get what you pay for. As the trusted online source since 1999 for your Kratom incense products; we're proud to have served so many customers. For you, this means that we're CONSTANTLY rotating our stock, so whatever you order from us is as fresh as possible; nothing at our shop sits on our shelves for more than a few weeks, ensuring the highest potency of every psychoactive herb we offer. Mitragynine is the alkaloid that most Kratom fans are familiar with, but there are over 14 other known alkaloids in this amazing plant as well. Alkaloid isolation isn't the best method of extraction, especially when one wishes to experience the "full energy" of a plant. With crude extractions it can be difficult to get anything but a resinous substance that can be quite difficult to work with. That's exactly why we offer as wide a range of kratom leaf types as possible. The plant Mitragyna speciosa Korth is a tree whose natural habitat is in Thailand, with heavy forests in the central and southern regions of the country. The Mitragyna genus, part of the family Rubiaceae, is found in tropical and sub-tropical regions of Asia and Africa as well, and now in India at our farmland where we cultivate what we feel is the world's most interesting Kratom incense. Asian Mitragynas are often found in rainforests, while the African species are often found in swamps. Most species are arborescent, some reaching heights of almost 100 feet. The genus was given its name by Korthals because the stigmas in the first species he examined resembled the shape of a bishop's miter. This genus is characterized by a globular flowering head, bearing up to 120 florets each. During the flower bud stage, the developing florets are surrounded and completely covered by numerous overlapping bracteoles. Mitragyna species are used medicinally as well as for their fine timber through the areas they grow. 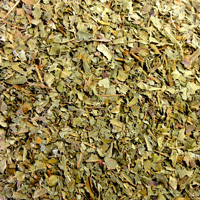 Curiously enough, Kratom is evergreen rather than deciduous, and leaves are constantly being shed and being replaced. During the dry season of the year leaf fall is more abundant, and new growth is definitely more plentiful during the rainy season. When grown outside their natural tropical habitat, leaf fall occurs with colder temperatures, although the leaves tend to be less potent than leaves intentionally harvested at peak times of the year. 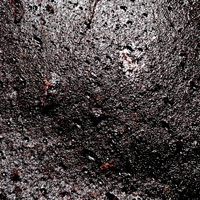 Kratom also prefers wet, humus-like soils in a protected position. Being a heavy feeder, it requires very rich, fertile soil. It is drought sensitive, and if grown out of its native habitat, sensitive to frost. Propagation is by very fresh seed or cuttings. There is a low strike rate, due to an endogenous fungus which attacks xylem tissue. 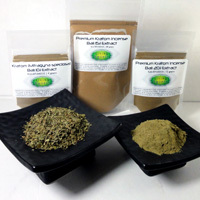 If you prefer the original, go to IAmShaman Shop and their Kratom products pages. As usual, don't hesitate to contact us via e-mail, live chat or phone with any and all of your Kratom incense related questions. 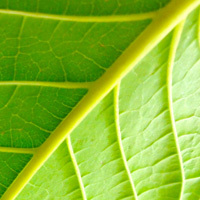 We're passionate about Kratom incense in all forms, including the raw leaf and as a resin incense. We're passionate about what we do here, and we're truly not satisfied until you are.